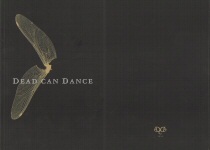 Official Programme from the 2005 Dead Can Dance Tour. 54 pages including most of DCD lyrics. A must have !